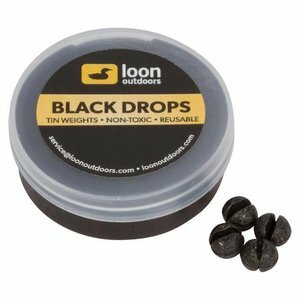 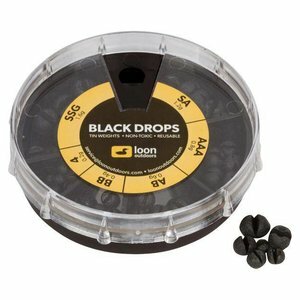 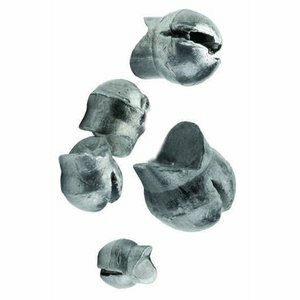 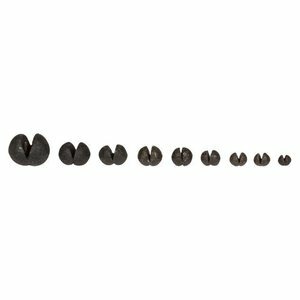 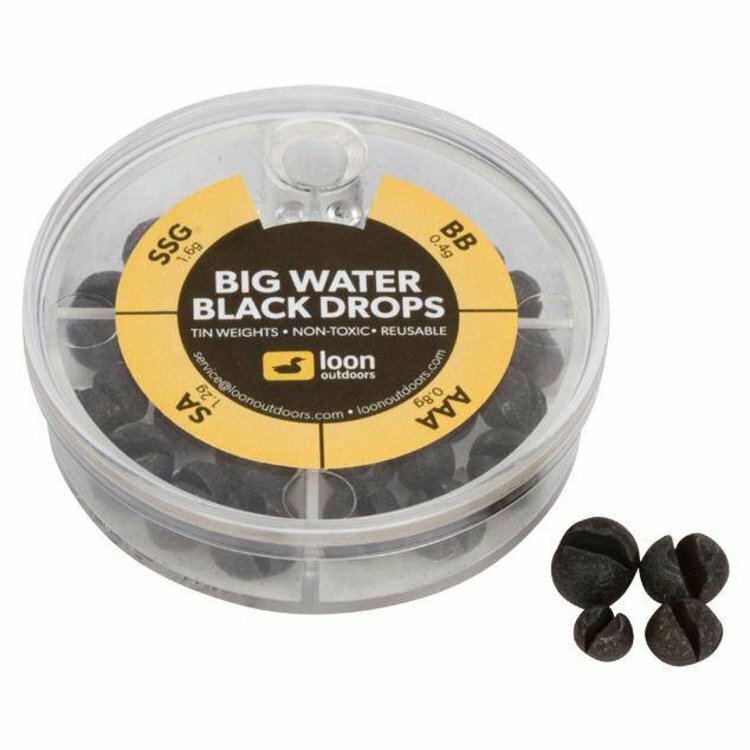 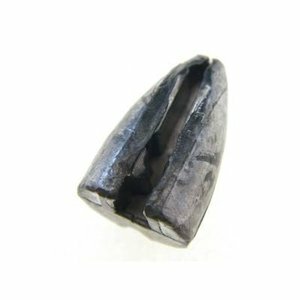 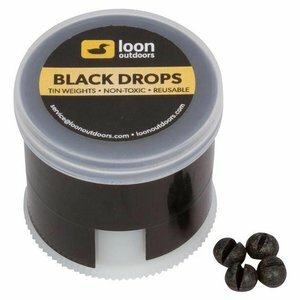 Loon Black Drops, these non-toxic, tin weights are coated with a durable matte finish that both adds to longevity and keeps the weight from sliding on the line. Loon Black Drops, these non-toxic, tin weights are coated with a durable matte finish that both adds to longevity and keeps the weight from sliding on the line. 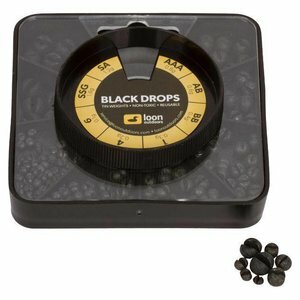 The natural black color and subtle mottled texture won't scare spooky fish the way that glossy weights will. The double-cut design makes these weights easily adjustable and truly re-usable, as they don't require a special tool to open them and remove them from leader. Available indifferent sizes, as well as four different multi-packs. 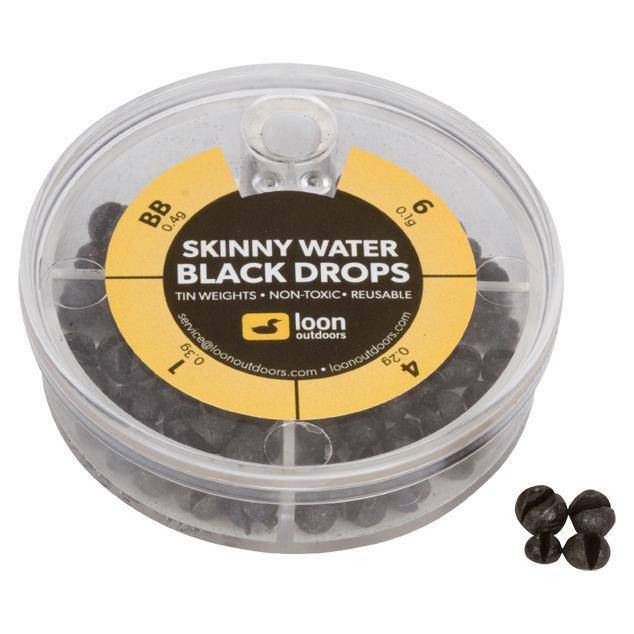 The individual twist pots conveniently dispense single weights, and are easily refilled. 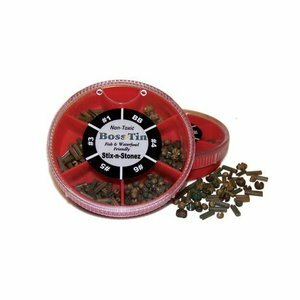 Boss Tin Stix-N-Stonz Dispenser, These are camouflaged LEAD-FREE shot shaped like sticks and stones with a multitude of natural, subtle colors. 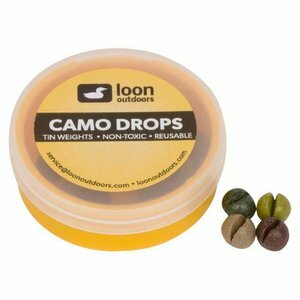 Loon Camo Drops, these non-toxic, tin weights are coated with a durable matte finish that both adds to longevity and keeps the weight from sliding on the line.